Are you looking for the latest and greatest in Golden Tee? Brand new at Colombos, 2018 Golden Tee come on in and give some of the new courses a try. 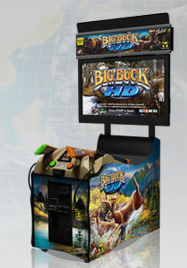 We also have Big Buck Hunter HD or may you prefer a throwback game of barroom shuffleboard, we have that at Colombos too. Come on down, we have all the fun and games you can handle at Colombos Bar and Grill. Come to hang out with your friends and enjoy the fun and some of the best bar video games on the planet. Join one of our shuffleboard leagues and meet up with your friends at Colombos. See our daily specials below.